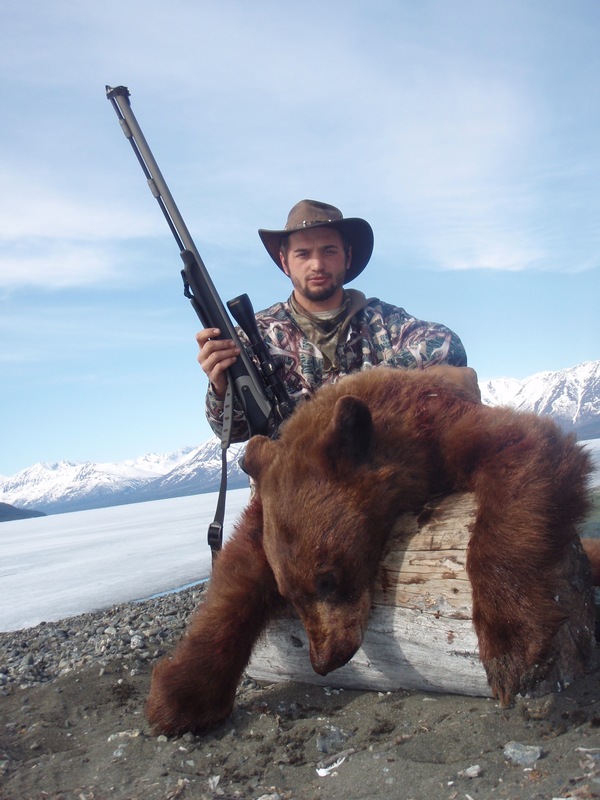 MISSION ALASKA: 2011 Spring Black Bear. Spot and stalk, DIY hunt in Uknown Alaska. This is our 2011 Spring do-it-yourself bear hunt in Unknown Alaska. Sled Necks pro-snow mobile rider Jason Semler joined Austin and Jon on a 100 mile ATV ride to a secret bear hunting location. This webisode starts live on the hunt in the Alaskan mountains, mid-stalk on a nearly vertical cliff face the bear, Jon, and Austin hold on for their lives.. Jon has the cameras and Austin has a longbow, backed up by his Thompson Center 50.cal muzzleloader. This bear hunting location was developed over a three year period in which we visited the location to track bears post hibernation activity. 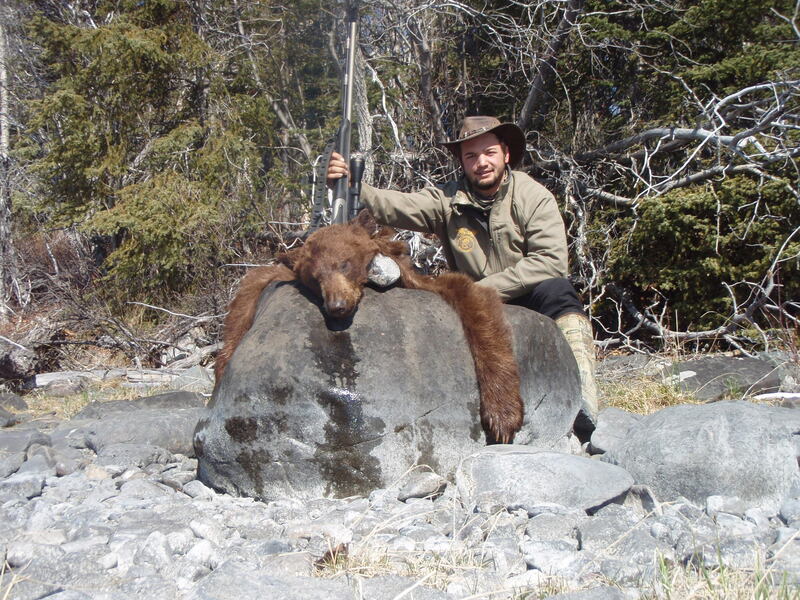 Our third year at the location brought success with a beautiful cinnamon black bear with muzzleloader equipment. Check out www.missionak.com for more webisode action of the 2011 Mission Alaska season. This is the featured movie star of the youtube link below. Click this youtube link to take you strait to the video where this beautiful cinnamon bear is harvested. This webisode links the article from this summer outlined “How to develop a premium bear hunting location in Alaska”. All throughout the hunting season, Mission Alaska has been using Hidden Antler Camouflage. It is the perfect balance of light and dark and works everywhere. We have used it on the Northern Slope of Alaska, Rocky Mountains, and the Hardwoods of Pennsylvania, and when we are wearing Hidden Antler, “Stuff Happens!” We love it and cannot say enough about it. Check out www.hiddenantler.com to get some gear of your own. This past week we got the opportunity to hunt with our good friend, and creator of Hidden Antler, Brandon Key. Brandon is a Texan through and through and had been telling us about the great hunting opportunities down there. We finally took him up on his offer, and headed down to South Texas. Brandon is the Deer Biologist at The Frijolia Ranch in Three Rivers Texas, and introduced us to his friends, Jason and Norma Mims. Wow! What great people, and unbelievable ranch. Set in the beautiful South Texas brush country, The Frijolia Ranch is a Texas Paradise. Game is plentiful and the people awesome. Our nights were spent picking the guitar, while steaks sizzled on the fire in the warm December air. What a great Texas experience! Check out www.brushbucks.com to learn more. As soon as we got to the ranch, we met up with out guide Tony and were immediately on some hogs. Austin was up first and was trying to stick one with his long bow. Tony is part Apache Indian and is a world-class guide. His hunting and tracking skills are unbelievable, but not only does he put you right on the animals; he also shares his knowledge of land. His people have lived there for generations and Tony continues to shares his ancestor’s knowledge of the flora and fauna. Needless to say, Tony got us right on the hogs. We crept through the thick brush undetected. Once again the Hidden Antler Camo kept us concealed and broke up our outline perfectly. Tony spotted the hogs and Austin and I crept in closer. We waited for them to feed into an opening and as soon as the first hog appeared, Austin stuck him with his long bow at 10 yards. We got some awesome footage of the shot and you’ll have to check back for the webisode, coming soon. Right after the hogs, we met back up with Jason and Brandon. They were telling us about the deer management program on the ranch and we drove around to see first hand what good whitetail management was all about. 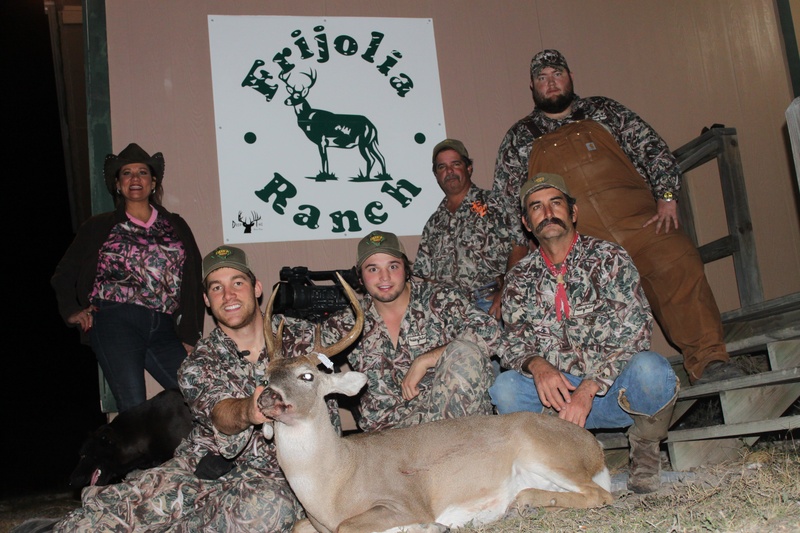 The Frijolia Ranch has a large and healthy herd with lots of great trophy whitetails. There was one deer however, that Jason said had to go. This young buck did not have the best genetics and Jason did not want him to start breeding other does. We saw which one he was and would be after him the next morning. We got after it the next day and set out to find the buck Jason needed taken out. We hunted that morning and although he never showed himself, we did get to see something very rare. Two monster bucks came out of the brush, locked eyes, and it was on. They battled only a couple yards in front of our blind. You could hear antlers crashing and feel the force of the fight. One deer finally backed down and they disappeared again. It was unbelievable to see such a spectacle in nature and one we will not be forgetting. That evening we were back in the stand and it was not 10 minutes before we caught a glimpse of the buck we were looking for. He was with some other deer and was not presenting a good shot. We waited, but he took off back into the thick brush. I thought I had lost my opportunity, but moments later, he stepped back out and this time was clear. He fed a few more feet and I squeezed off a shot through his high shoulder. He dropped right there in his tracks. Even though this was not close to the biggest deer we saw at the Frijolia ranch this was my largest antlered deer that I have ever taken. I was so excited and thankful to harvest a Texas Whitetail. Most of the time people just show the huge bucks being shot, but this hunt was focused more about deer management. He is still a trophy deer in my book and will provide great tasting meat for the upcoming winter. The Frijolia Ranch goes to show you what great deer management can achieve, and I was honored to be a part of it. 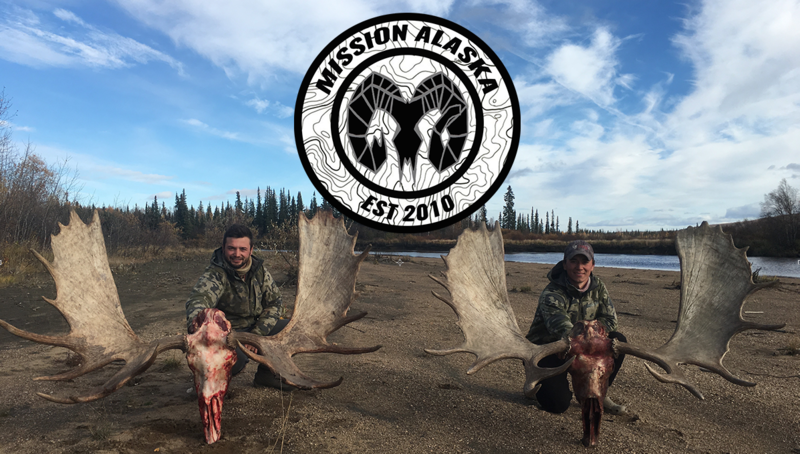 Make sure to check back soon for the Mission Alaska: Operation Texas websiode here on www.missionak.com. In the mean time, check out www.hiddenantler.com to get some gear right in time for Christmas. 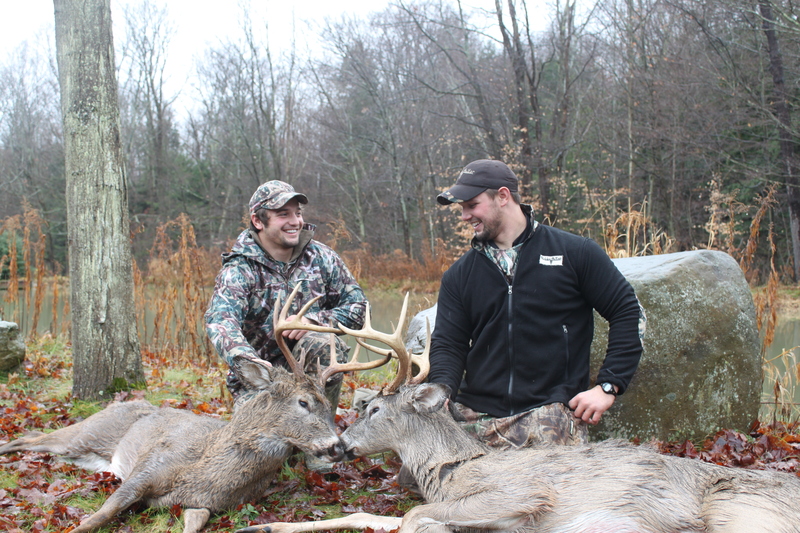 Also check with Jason Mims at www.brushbucks.com to learn more about hunting at the amazing Frijolia Ranch. Thanks to everyone for making this experience possible and check back soon for the webisode! This is the video from this past weeks events over the2011 Thanksgiving Holidays. This webisode features Jordan and team Mission AK, as they head to Allegheny Whitetails in Northern Pennsylvania. Jordan is hunting with traditional archery equipment, true “stick and string” style for her first big game harvest opportunity. 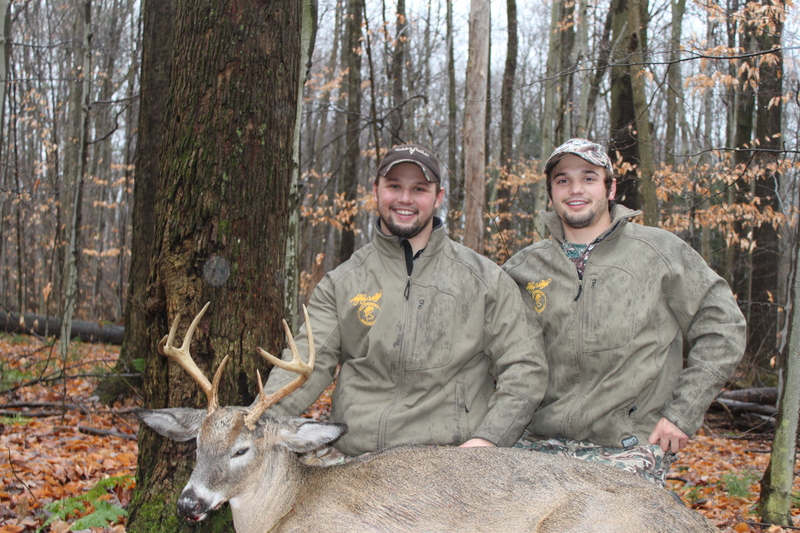 Allegheny Trophy Whitetails Hunting operations specialize in trophy Whitetails ranging from 120-300 inches. Join Jordan, August, Austin, and Greg “Master Guide” Manelick live on the hunt in this buck Oasis, stalking a monster. Be sure to check back to www.missionak.com this late December 2011 for the finale webisode of Jordan’s first Whitetail experience. 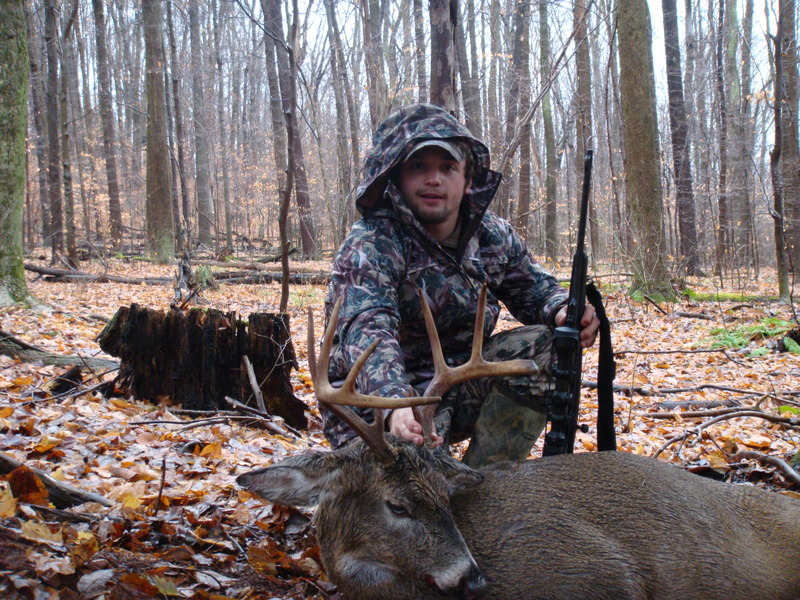 For more information on the hunting area checkout Allegheny Trophy Whitetails homepage at http://alleghenytrophywhitetails.com/ or contact Greg at greg@alleghenywhitetails.com, Lodge telephone 814-706-1631. For information on the camouflage used check out www.hiddenantler.com.